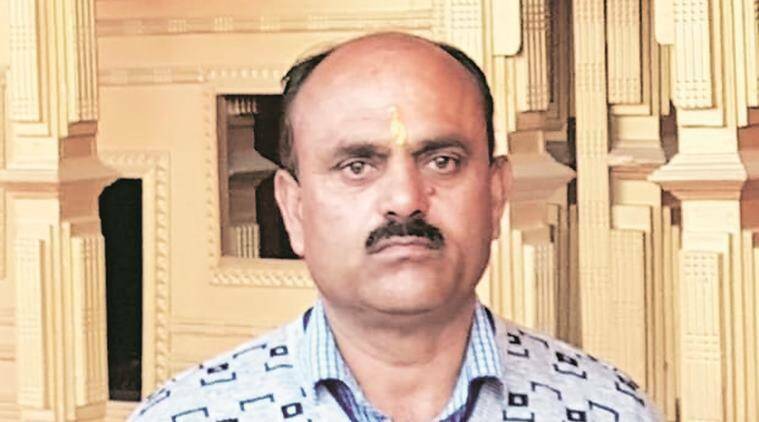 Violence broke out in Kishtwar town on Wednesday during the funeral procession of senior RSS functionary Chanderkant Sharma who, along with his PSO Rajinder Kumar, was shot dead by militants inside the government-run district hospital on Tuesday. The funeral procession of nearly 15,000 people was on its way to the Chowghan cremation ground when it passed by the Government Dak Bungalow where senior civil and police officers were standing with police and CRPF personnel. On seeing them, some of the people in the procession started raising slogans and threw stones at the policemen, injuring nearly half-a-dozen personnel. The police lobbed teargas shells to disperse the stone-pelting mob. Army troops, who had been deployed in the town after the imposition of curfew on Tuesday afternoon, swung into action and brought the situation under control. After the funeral, a large mob gheraoed the office of Kishtwar SSP Shakti Pathak. The mob broke the window panes and damaged the furniture there, sources said. The mob dispersed after Pathak assured them early breakthrough in the investigation into the killings and strict security in the town and its outskirts. Kishtwar Deputy Commissioner Angrez Singh said the situation was under control. A few people who ransacked the SSP’s office dispersed after officials spoke to them, he added. Meanwhile, curfew continued in Kishtwar and Bhaderwah towns and mobile internet services remained suspended in the Chenab Valley for the second day.